Whether you’re nervous about a first date, you and your significant other are planning to rekindle a little romance by heading out to a bar like you used to, or you just swiped right and need a meeting place in a hurry, we’ve got you covered. 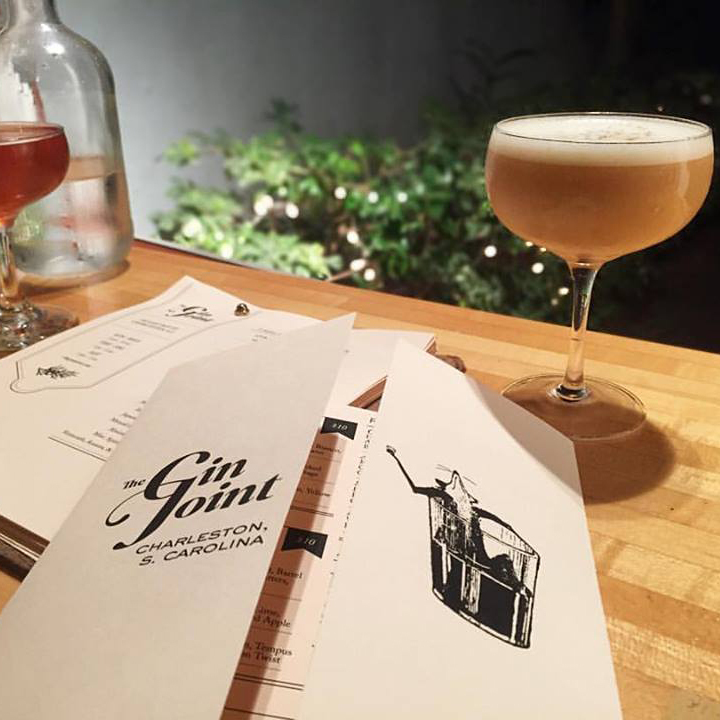 Here, seven of the best spots for a romantic night on the town in Charleston. This elegant, moody liquor lab showcases pressed-tin ceilings and exposed brick as old black-and-white films play on the wall. Join in some sophisticated conversation with handcrafted libations, cheese boards and charcuterie. A mix of locals and visitors check into this intimate 1920s cocktail spot that uses homemade syrups and freshly plucked herbs. Order Whiplash (Nettle Tea Gin, green chartreuse, lime, honey syrup, Salers aperitif, fennel, fenugreek and mint) to wash down small bites like the sodium lover’s housemade beef jerky. Pull up a seat at this chic-rustic wine bar with 30 varieties by the glass and 100 by the bottle, plus cheesy plates and house-cured meats. The cool vibe, thanks to communal tables and mismatched chairs, will conjure a scene straight from the bustling Paris café circuit. This lively, airy neighborhood spot pours 40 types of suds paired with serious southern comfort eats, like its famed, you-won’t-go-hungry pork slap sandwiches, beer mussels and a hearty duck potpie. Just to the side of chef Sean Brock’s acclaimed restaurant Husk, you will find a warm, dimly lit two-story house with handcrafted cocktails and house-made bitters and syrups. Because we’re in the South, there are also over 50 labels of bourbons and snacks from the award-winning restaurant next door. A handsome Prohibition-era style bar has mastered the art of the cocktail and adopts a farm-to-shaker methodology (think fresh beet juice). Upstairs, you can kick back and relax on the rooftop garden. If your date needs include inexpensive canned beer (think ample Pabst Blue Ribbons), chicken wings and fries served three ways, this neighborhood bar downtown (the outfit has four locations) is your spot. But it’s also beloved for its list of local brews—if the date’s not going well, you can nurse a local Holy City Follicle Brown.